Evelyn Waugh, Brideshead Revisited. Penguin Modern Classics, 2011. 451 pgs. British novelist Evelyn Waugh was what one might call a traditional Catholic and Catholicism is central to his 1945 novel Brideshead Revisited: The Sacred & Profane Memories of Captain Charles Ryder. Waugh was outright despondent following the liturgical transformations of the Second Vatican Council (1962-1965) and felt as though he was losing the church and faith that he embraced after his conversion in 1930. 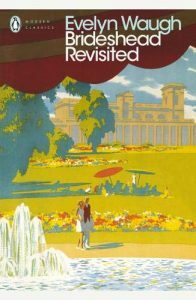 What is so paradoxical about all we know of Waugh’s Catholic faith and the treatment of Catholicism in Brideshead Revisited is that the book is at times quite irreverent and at its heart is a romantic relationship between two young men: the narrator, Charles Ryder, and Lord Sebastian Flyte. Charles and Sebastian are undergraduate students in the early 1920’s when they meet at Oxford University. Although they are from different social classes (Charles is from the upper middle class, while Sebastian is aristocracy), they share one thing in common: both come from unhappy, dysfunctional families. Charles’ mother had died and his father is socially awkward and highly introverted, taking only marginal interest in his son. Lord Sebastian also comes from a broken family. 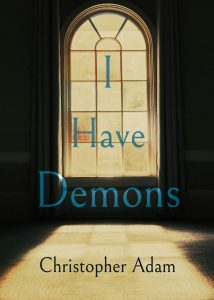 His parents are separated and his mother, Lady Marchmain, a lonely, frustrated and tragic figure who tries mostly in vain to pass on her staunch Roman Catholicism to her children, is a suffocating presence for the young Sebastian. Loss and the nostalgia to which it gives rise is the central theme of Brideshead Revisited. And it’s loss on so many levels: a loss of physical and socio-cultural landscapes, a loss of youth, of relationships, of family, hope and of religious faith. It’s also believed that Evelyn Waugh’s Brideshead Revisited is autobiographical on a number of fronts–certainly in terms of religion, the author’s embrace of a rich tapestry of tradition that finds expression in England’s privileged classes and his own relationships during his student years at Oxford and beyond.